After you’ve installed Windows Vista Service Pack 1 you might have noticed that the free space on the installation drive has reduced significantly. Where’s the free space gone? Well the answer to this question is that the RTM files (your old system files) were backed up during installation of SP1 so that the system can be rolled back to prior state if the user decides to un-install the SP1. If you have no plans to un-install the SP1 then you can reclaim the space by removing the backed up files. To get back your free space you need to run ‘Vsp1cln.exe’ (without quotes). Press [Windows Logo] key + R on your keyboard or click ‘Run’ on the Start menu. Now type Vsp1cln.exe in the run dialog box & click OK. Enter the Administrator credentials & click Continue on UAC prompt. In the Command Prompt window, press ‘Y’ on the keyboard and press Enter/Return key. Windows will now cleanup the disk. “/? or /h”- Displays this list of Vsp1cln.exe commands. “/o:[Offline_Windows_directory_path]”- Indicates that the archived RTM files that need to be removed are in an offline image. “/quiet”- Runs in quiet mode. No console output is provided. If this option is not used, you will be prompted with a confirmation message. “/verbose”- Provides additional diagnostics output. I reclaimed approx. 1 G.B. of disk space after running the clean up tool. WARNING– You cannot un-install/remove Windows Vista Service Pack 1 after running this tool. Some of the information in this post is obtained from Microsoft’s Knowledge Base by the author. 1. Windows Update(Approx. 65 MB for 32 bit editions & 125 MB for 64 bit editions)- You can get it from Windows Update. Microsoft recommends this method for home & small business users. To get the update click the ‘Start’ button on the taskbar, then ‘All Programs’ & in the list click ‘Windows Update’. 2. Standalone Installer(Approx. 435 MB for 32 bit editions & 730 MB for 64 bit editions)- You can download it as a standalone installer from Microsoft’s website. Microsoft recommends this method for System Administrators & PCs without internet access. New systems will be available with SP1 installed. Microsoft has also released New DVDs with SP1 integrated. 1. Atleast 7 GB of free on the partition where Windows Vista is installed. This is usually C drive. 2. Beta versions of SP1 must be un-installed. 3. Notebooks & other battery powered computers must be connected to mains for installing the service pack. The information in this post is obtained from Microsoft’s Knowledge Base by the author. 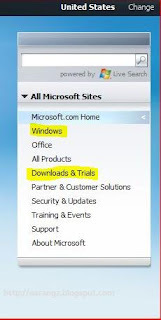 The Microsoft Download Center site is your only authorized web source for downloading a licensed copy of Windows Vista Service Pack 1. 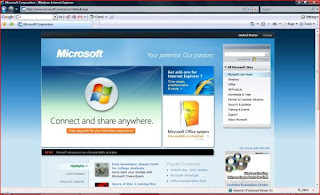 To report a website offering unlicensed copies of Windows Vista Service Pack 1 for download, please send e-mail to: [email protected] or visit http://www.microsoft.com/piracy/ReportingUs.mspx. Windows Vista Service Pack 1 Released! Microsoft, on Tuesday, finally released the long awaited Windows Vista Service Pack 1 to its customers. The SP1 was already rolled out to RTMs in February 2008. The Service Pack is expected to resolve most of the issues with Windows Vista. It addresses reliability, compatibility & performance related issues & adds supports for new hardware as well as new standards. The Service Pack was long awaited by most of the Vista users & the technology gurus predict that it will help Microsoft to boost sales as Windows XP users are now expected to upgrade to Windows Vista. The service pack is also expected to disable most of the software OEM simulation hacks. After installing SP1 if the copy is found as a non-genuine copy Windows will display a message instead of going into reduced functionality mode. Microsoft’s Windows Vista has introduced many important features and ‘Previous Versions’ is one of them. Some of you have might have heard about it, some might have no idea about it & many would have seen it but don’t exactly know what does it mean. I am now going to introduce you to the Life Saver(or maybe a job saver!) feature of Windows Vista. The ‘Previous Versions’ feature of Windows Vista works on the Shadow Copy or Volume Shadow Copy Service. It finds its roots back in Windows XP with Service Pack 1 & Windows Server 2003. Now you must be wondering what did this VSC(Volume Shadow Copy) service exactly did? Well the answer to this question is that VSC provided the backup infrastructure in Windows XP with Service Pack 1 & Windows Server 2003. Features like Backup, Volume Shadow copies for shared folders etc. were provided by VSC service. The Volume Shadow Copy service in Windows Vista is used by the Backup application, System Restore and the Previous Versions feature. However the ‘Previous Versions’ feature comes at a cost. Sadly it comes only in the Ultimate, Business & Enterprise editions. The Home versions do not feature ‘Previous Versions’. If you didn’t get a thing of what was written in the Introduction section, Don’t Worry! Now let’s get started with how it may save your life. Day 1-I worked on a a very important project in, let’s say, Photoshop. I almost completed the project on the first day & thought I shall do the rest of the work tomorrow. I saved the file & logged on to the internet to get refreshed. Day 2- The next day I opened the project file & did the rest of the work & accidentally I deleted a part of the image, saved it unknowingly & exited the image editor. Before submitting the project to my boss I decide to have a last look at the project & was shocked to see that a part of the image is not there! Now I don’t have the time for doing it all again. I get ready to face the consequences. The boss might fire me for not completeing the very important project in time. I am cursing myself for not creating a copy of the file. Ladies & Gentlemen, here comes Windows Vista’s ‘Previous Versions’ to my rescue. I can restore the previous version of file created on Day 1! I’ve saved my job! The Previous Versions feature automatically saves the shadow copies(or simply copies) of your files in a restore point. The System Restore must be turned on(it is on by default) in the System Protection settings in order to use the Previous Versions feature. A shadow copy of all the files, which were modified since the the last restore point, will be automatically created by Windows Vista. These restore points are typically created once a day. However there are some exceptions- You can manually force the creation of restore point from System Protection & a restore point is automatically created before installing application programs or system drivers. Click System protection on the left. It needs Administrative privileges. Click the Create button on the bottom of the Window. Type in the description of the restore point. Windows will now create a restore point. A dialog box will be displayed after successful creation of the restore point. Right click the file which you want to restore to a previous version. Click ‘Restore previous versions’ option or you can also click ‘Properties’. If you clicked ‘Properties’ then click on ‘Previous Versions’ tab. Select the file version you need by checking the modification date. Click ‘Open’ button to open the selected file version. Click ‘Copy’ button to copy the file version to desired location. To restore the file to a previous version click ‘Restore’ button. The file will be restored to the previous version you selected. Note that it’ll replace the existing file contents with the previous version’s contents. Open the folder where the file existed. Right click on some empty area in the folder. Double click the folder, by checking the modification date, to open it. 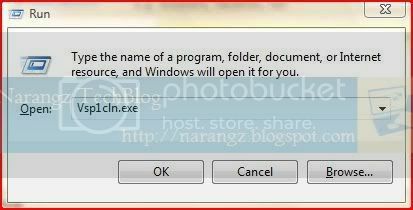 Now you can restore the file or the folder similarly as mentioned previously. That’s all you need to know before restoring a file to its previous versions. Don’t forget to tell me how it saved your life in the Comments section! Microsoft Corporation has introduced a new application called ‘Snipping Tool’ in its latest version of Windows i.e. Windows Vista. Snipping Tool lets you take screen shots of your Windows applications or a certain part of the screen. Windows users can now use this powerful application to take screenshots instead of using the old method- Alt-PrintScreen or simply Printscreen. 1. Click the Start button on the Windows Taskbar. 3. Now click ‘Accessories’ folder from the menu. 4. From programs that appear click ‘Snipping Tool’. The program will now start. Snipping Tool will be added to Quick Launch Bar when you run the Snipping Tool for the first time. The Snipping Tool provides the user with many options to take the screen shots. You can get these snipping options by clicking the small arrow alongside the ‘New’ button. 1. Free-form Snip- This option lets you draw a shape of your choice to take a screen shot. Once the user has drawn the shape & leaves the mouse button the snip is created. 2. Rectangular Snip- As the name suggests, this option lets you create a rectangular selection. Once the rectangle is drawn the snip is created of the area. 3. Window Snip- This option lets you take a snip or a screen shot of an entire window. All the contents of that window will be captured in this snip. 4. Full-screen Snip- This option lets you capture the entire screen area. To change the Snipping Tool options or preferences click on the ‘Options’ button. 1. Hide instruction text- This hides the instruction text, if selected. 2. Always copy snips to the Clipboard- If enabled, it copies all the snips to the Clipboard so that you can paste it in any image editing application and edit as per your requirements. 3. Include URL below snips(HTML only)- If enabled, this option lets you add the link(URL) of address of the website you are viewing in Internet Explorer if saved in MHT/Single file HTML file format. 4. 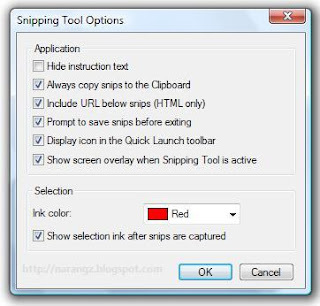 Prompt to save snips before exiting- If enabled, the snipping tool will prompt you to save the snips before exiting. 5. Display icon in Quick Launch bar- If enabled, the Snipping Tool will be displayed in the Quick Launch bar. 6. Show screen overlay when Snipping Tool is active- When enabled the Snipping Tool interface will be hidden while creating a snip. 7. Ink color- Lets you choose the colour of border of the snip. 8. Show selection ink after snips are captured- If enabled, it displays a border in the selected colour on the snip. 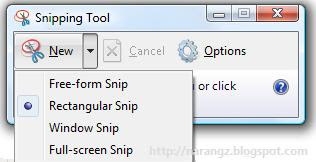 The Snipping Tool lets you save the snip or screen shot in various file formats. You can save the snips in PNG, GIF, JPEG, MHT file formats. It lets you highlight certain parts of the snip. It lets you draw and annotate in the snip. You can choose the desired colour of the pen and even customise the tip & thickness of the pen. It lets you send the snip as an embedded image or as an attachment. It erases anything which was drawn by the pen tool or highlighted by the highlighter tool. The Snipping Tool is the first of its kind in the history of Windows. Its now easier to take screen shots of any area of the screen without pressing the Alt-PrintScreen combination without any need of third party application. It comes free with Windows Vista. It doesn’t provide any option to add text to the snip. The only way you can add text is by using the pen tool or by editing the snip in an image editor. Microsoft should provide this option in the future through updates. The Snipping Tool is a boon for the those who want to share the snips with others to discuss things or just for the sake of fun & that too without spending on third party applications! Surprise the users with new tools every now and then, Microsoft! Show your ad here. Get in touch! Copyright © 2019 Techies’ Realm - Simplifying Technology, Simplifying Lives. All rights reserved.